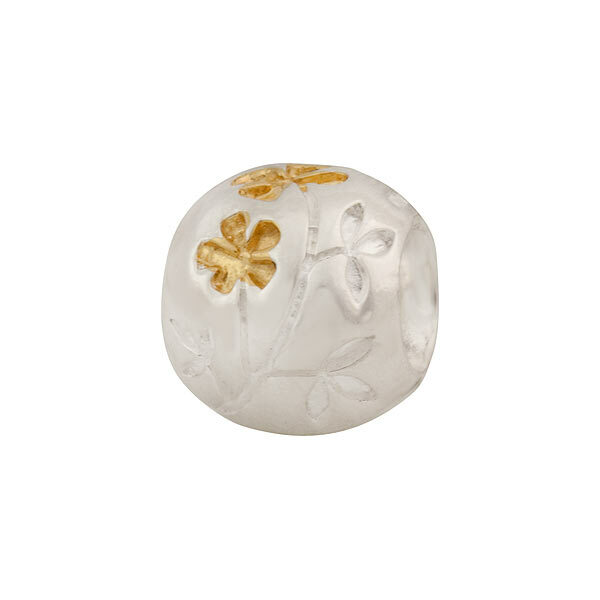 The classical floral motif of the dogwood presented in sterling silver with 14kt gold accents. The threaded core allows for compatibility with most brands of European bracelet systems, including Pandora and Chamilia. Approximate measurements are 9mm x 10mm x 9mm.